Sportpark Ronhof, in full Sportpark Ronhof Thomas Sommer, was built in the early 20th century. 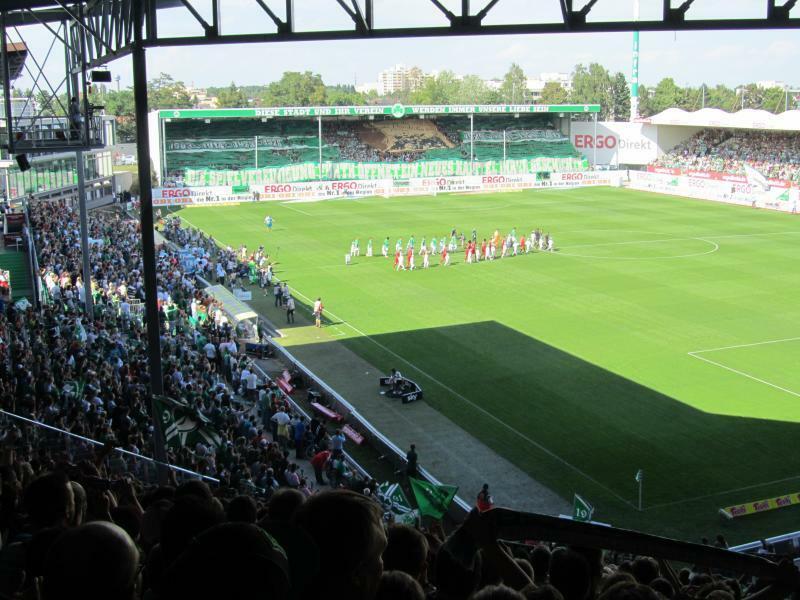 Greuther Fürth had been formed in 1906, but already one year in their existence decided that they needed a proper stadium. 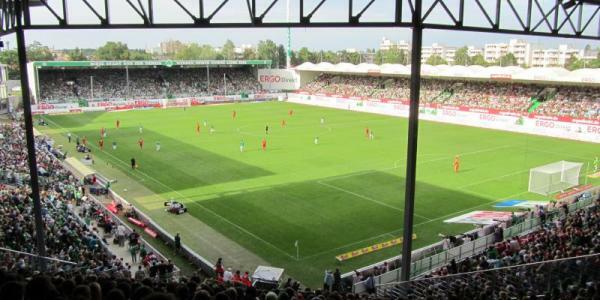 Sportplatz Ronhof officially opened on 11 September 1910 with a match between Greuther Fürth and Karlsruher FV. It could hold just over 10,000 spectators at that time. The stadium got quickly expanded after the First World War and at some point even counted as the largest in the country. Further enlargements in the late 1920 increased capacity to almost 30,000 places. The wooden main stand got burned down in an air raid during the Second World War and a new stand got built in its place in 1951. 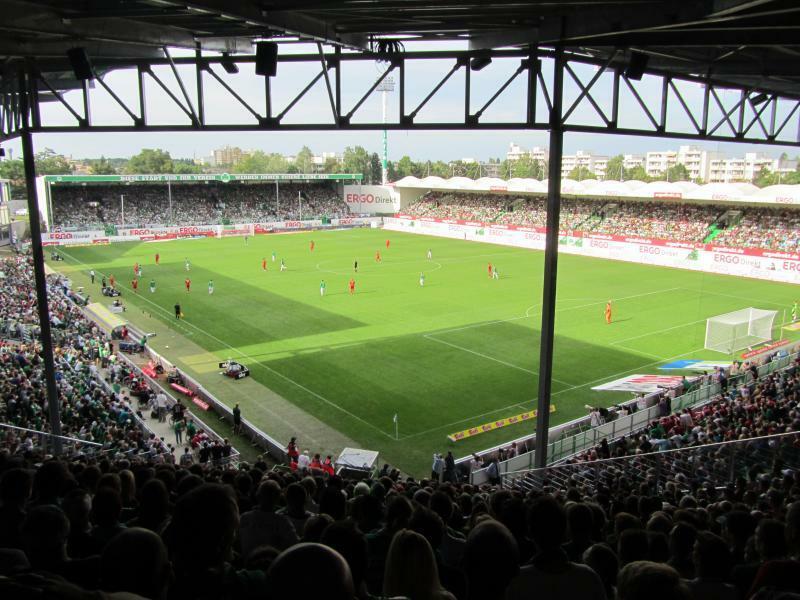 The stadium recorded its highest attendance in 1952 when 32,000 people visited the derby between Fürth and Nürnberg. The dwindling successes of the club and financial problems in the 1970s and 1980s meant that few further changes were made until the 1990s. 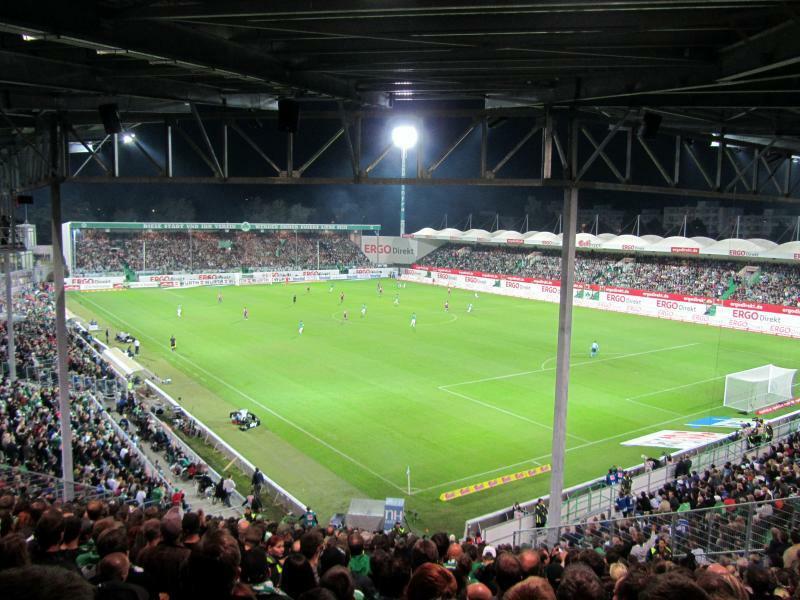 After moderate successes had returned in the mid-1990s, Fürth presented major redevelopment plans for the then rather dilapidated stadium. Two new stands were built and in 1997 the renovated stadium opened with the new sponsor name Playmobil Stadion. Works did not stop though, and in 1999 a new South Stand opened. In the same year the first floodlights were installed. Further improvements were made in the following decade, but the main stand of 1951 remained. In March 2012, the club presented plans to move to a new stadium. 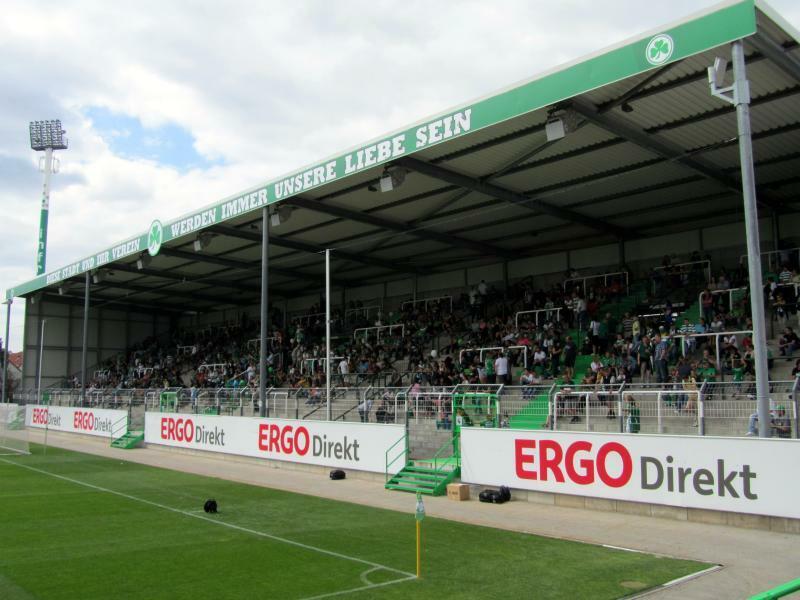 When the club promoted to the Bundesliga later in 2012 though, they instead decided that better facilities could not wait. They therefore tore down the uncovered South Stand and replaced it with a new covered stand, hereby increasing capacity from a previous 15,200 to the current 18,000. The club now plans to replace the ancient main stand with a new replacement. Sportpark Ronhof is located in the north of the city of Fürth, about 1.5 kilometres from Fürth’s old town and almost a kilometre further from the railway station. The walk from the old town takes about 20 minutes and that from the railway station about 10 minutes more. From the main railway station (Hauptbahnhof) or Rathaus, the stadium can be reached with bus 173, 174, or 177. Get off at stop Friedhof, from where it is a small walk to the stadium. When a large crowd is expected, special shuttle buses run between the railway station and stadium. 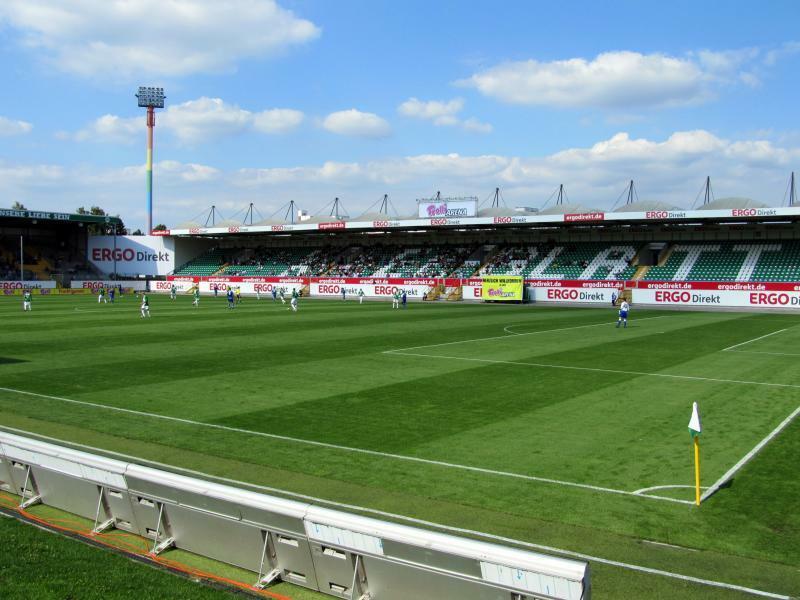 Sportpark Ronhof lies close to the A73 motorway, which runs from Nürnberg city centre in northern direction. Take exit Poppenreuth and follow the signs to the stadium. Tickets for SpVgg Greuther Fürth can be bought online (print@home), by phone +49 (0) 1803 019030, at the Fan Shop at the stadium, or at one of the other sales points (e.g. one at the Kohlenmarkt 4 in the old town). If tickets remain available, these can also be bought on the gates on the day of the match. 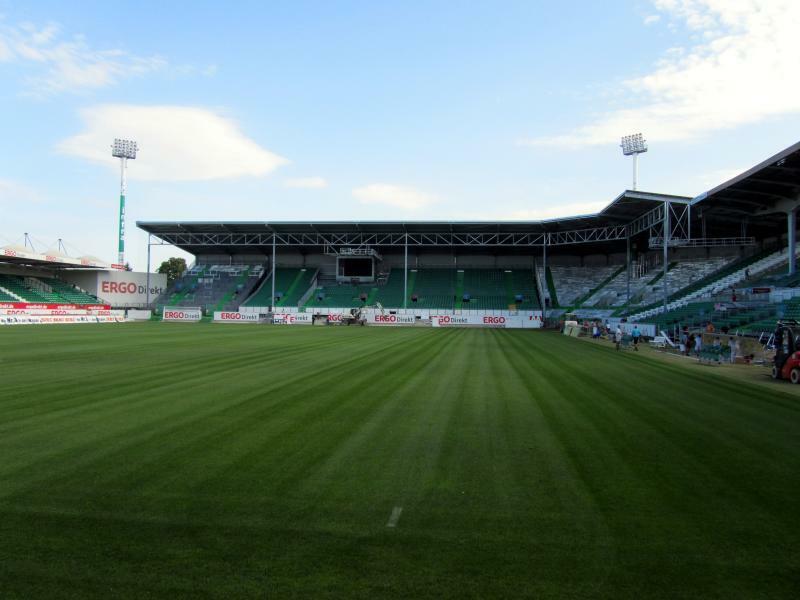 While Greuther Fürther regularly sold out in the Bundesliga, they rarely do so in the 2. Bundesliga. Tickets cost between €29.00 and €34.50 for a seat at the long side, €23,50 for a seat behind the goal, or €13.00 for a standing place at one of the terraces. Greuther-fuerth.com – Official website of SpVgg Greuther Fürth. Fuerth.de – Fürth tourist information. Vgn.de – Fürth public transport information.